I have a Montgomery Biscuits hat, and I wanted to hear about what y'all have in the Minor League department. I love MiLB caps they have such interesting designs. Their caps are always 25% off. 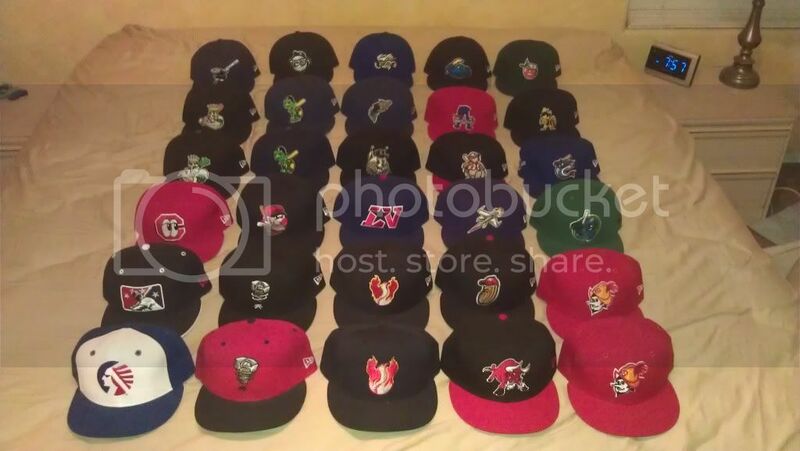 I've got a few MiLB fitteds in my collection. I've been on the lookout for a Baybears custom, but I haven't found the right one yet. I too love MILB hats, here is what I currently have. Mostly Phillies affiliates...lol say that 3 times real quick. HA! Nice! love to get this response. MiLB hats are some times looked over, while thier designs are some of the most unique, even if not recognized. I like the red Scranton Wilkes Barre one! What season is that from? My meager crew. I really need to step my MiLB game up. 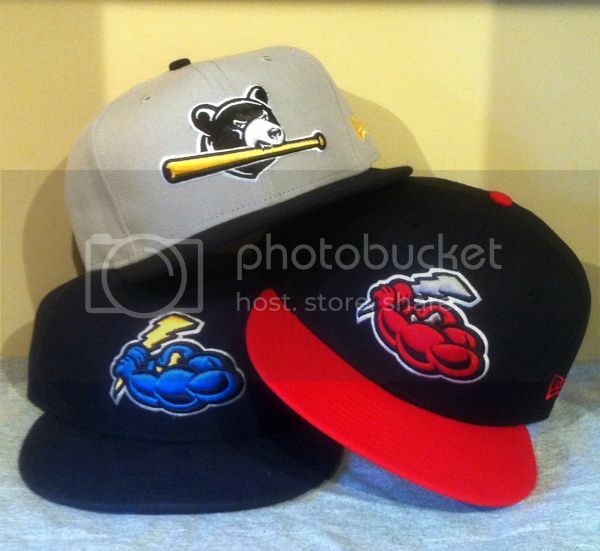 I really want a Yakima Bears custom, some dude was selling a few on Ebay for $40 a pop. I just couldn't get on board with the price. I would like to get a Tampa Yankees at some point- especially if I can find one with a grey brim! The Red Barrons all red hat was worn their final season i know in 2006. Not sure what year they started wearing it though. The old school Clearwater Phillies is all kinds of awesome. XclickX I've got a lot of respect for that collection. I have a few neat MiLB caps and some vintage, I should have a pic up in a week or so. MiLB caps are always interesting. All the colors of the rainbow, lol. @ XclickX - I said it once and I'll say it again.....I love that Clearwater Phillies cap! Back 2 rows are poly and the rest are wool.